Having both recently retired, my wife, Liz, and I flew to Alaska in June 2014 to start a motorcycle trip down the Rockies, turning east at Yellowstone through 18 States to New Jersey. Three months and 8,500 miles living out of pannier bags – thankfully Rohan’s ‘wear–wash–wear’ versatility kept us fresh whatever the conditions. After our BMW K1600GT was fork-lifted out of an Anchorage airport cargo shed in an enormous FedEx box, we set off north towards Fairbanks and the Arctic Circle – lots of layers needed despite 24 hour daylight. 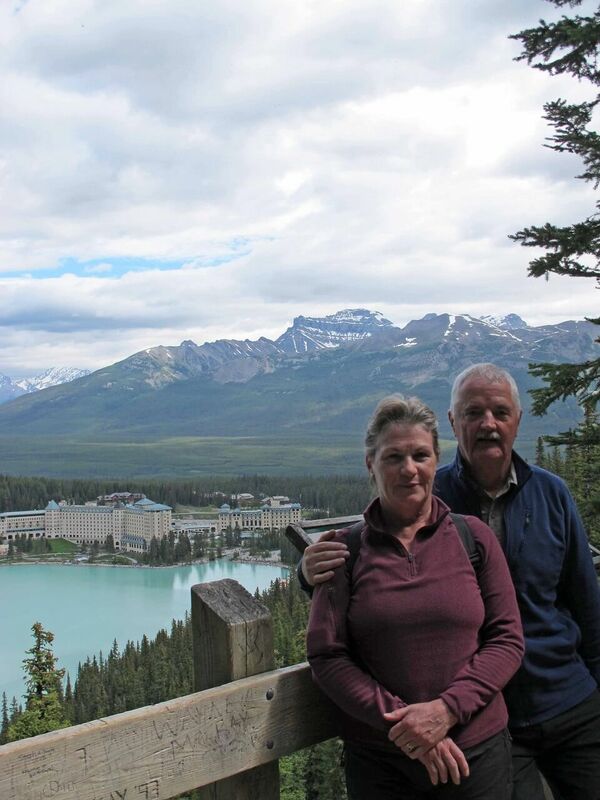 On the way we fitted in a glacier & whale watching boat trip and a few days in Denali Park where we marvelled at the mountain scenery and amazing wildlife; Grizzlies, Black Bears, Caribou, etc. Less welcome were the helicopter-size pesky mosquitoes – slapping-on repellent became routine. After another week or so exploring wilderness Alaska we started south along the 1400 mile Alaska Highway. The locals had warned us that the area only has 2 seasons; winter and ‘construction’. This became most apparent as we crossed into Canada’s Yukon Territory to encounter 150 miles of roadworks; rutted roads, mud and rain thoroughly tested machine, rider and pillion. Leisurely progress got us to the southern end of the Highway in time for July 1st Canada Day parades. Next it was onto Icefields Parkway where, on a purpose-built vehicle designed to minimise ice damage, we travelled out to the heart of the glacier field. Into Montana we traversed, only a few days after it had been cleared of winter snow, Glacier National Park’s mountain road. Western USA people, with their laid-back approach to life, were welcoming wherever we stopped. Not least in the former metal-mining town of Butte; Evil Knievel’s birthplace and home to a bizarre tourist attraction – Berkeley Pit, an immense lake whose inviting blue waters are deceptive, they actually have the toxicity of battery acid! After a mishap involving a shredded rear tyre (long story) we were ready for time off the bike and were thankful that we had pre-planned a 5-day guided walking tour exploring the highlights of Yellowstone, definitely the single best part of the trip. The work being done by the Parks Service to preserve wilderness, geo-thermal features and wildlife can only be admired. By now, with mid-30s daily temperatures the clothing outer layers were staying in the panniers. Next major stop was the annual motorbike-fest at Sturgis, South Dakota – several hundred thousand Harleys in close proximity certainly makes the ground shake! After Sturgis, although we had time for a few more stops, the priority was to get back to the East Coast before our 90-day visa-exemption expired, with a couple of days to spare we said farewell to the bike in Elizabeth NJ from where it was shipped back home. Looking back, although images captured on compact camera prompt lots of memories, more dynamic pictures may have been created by SLR camera and lenses – but tight space necessitates compromise. The Rohan gear did fantastic service; whilst the various outer garments proved indispensable at different times, the undoubted day-to-day star items were the base layers and underwear – after a quick wash with any available soap/shampoo they were soon ready to carry on adventuring.